I am pretty new to this Community and to the Rachio system. I just installed it some weeks ago and so far I am super happy with it. The app and generally everything is very polished. For the moment I dont have a chance to try out any of the many water saving features, cause I dont get the water directly from an unlimited source, the irrigation system can only access a big tank with 3000 liters. Since these 3000 liters are not even enough for a single day, I have to fill it up between waterings and to do so, I abuse one of the Rachio zones, which is connected to a valve that fills the tank and gave it a schedule. So far all works absolutely perfect. Its just impossible to let the flex daily run on its own, cause it would deplete the 3000 liters quickly and then probably it wouldnt realize that no water is coming. Secondly, I cant use rain skips, cause the next available weather station is 60km away from me, and its easily a different microclimate over there. 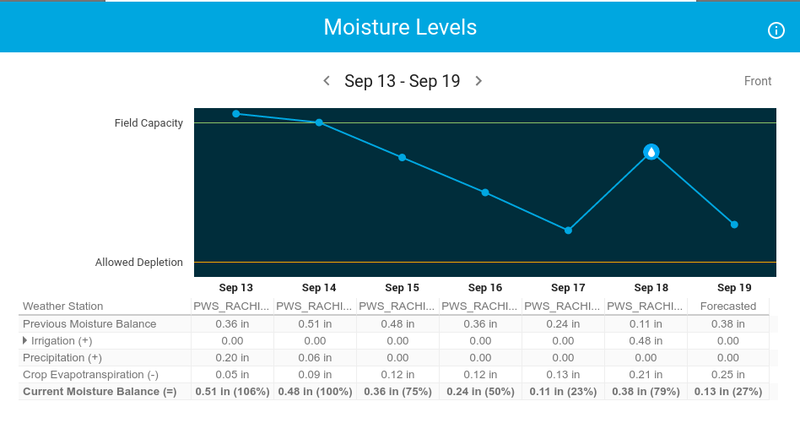 So I have seen that if I switch to flex daily, I get to see some awesome Moisture Level details and forecasts, probably based on info from the connected weather station. Nr 2 is a bit more tricky for someone who has no idea about gardening and its also pretty difficult to get someone with good knowledge in that area (small island in italy). Honestly, I dont even understand all of the words, but that could be helped. The thing is, I am not sure if I want to put a whole garden in danger by having a chance to make all the wrong choices. So I also ordered the Toro wireless soil sensor and was somehow hoping that I can integrate it and get real soil data instead of the one thats being calculated based on the weather station. But I dont see how I can make that work. Can I use the netatmo equipment to receive all the data I need for flex daily and then see all the infos in the Moisture Level details? And can I maybe use the toro soil sensor to get real and precise data instead of having it calculated by a weather station that could be wrong? Or wait, one final question, what exactly does the size of the area in the settings of a zone change inside the flex daily? Cause I guess most of the other settings can be found out, but the areas are sure often overlapping or not, have very different sizes, and probably I would miscalculate them. Edit: Anyway, I think its a pity that we can only see the Moisture Level details once the Flex is turned on. I would love to see them anyway. I do not personally own a PWS, but I know that wunderground is not used by Rachio. I access a PWS through pwsweather.com. There are several threads about PWS stations and the websites Rachio uses. Also, check out the support articles from the Rachio main pain about PWS. what exactly does the size of the area in the settings of a zone change inside the flex daily? The area is used only to calculate the amount of water used and does not impact any of the settings on how your Rachio will water. If you have overlapping zones, (example grass), you can just break it up… say you have about 1,000 sq ft (US measurements, sorry!) just have your area add up to the total area. How do I use Wunderground with my Rachio? Our flexible monthly schedule might be a better choice for you. It adjusts the schedule each month and is on a fixed interval so there is no question as to when it will run next. So I also ordered the Toro wireless soil sensor and was somehow hoping that I can integrate it and get real soil data instead of the one thats being calculated based on the weather station.But I dont see how I can make that work. No, pretty sure the sensor communicates either water or don’t water. It does not broadcast actual moisture levels. Nothing, this is just used for estimating water usage on our reports. 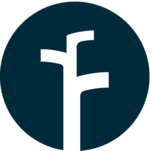 I would recommend if you want to try flex daily to post questions regarding your configuration, your soil moisture graphs, and we have a lot of members of the community that could help dial them in. Flex monthly is also a nice way to get a lot of our efficiency without spending much time on zone configuration, etc. thanks a lot for the quick answers. Good news about the area size thing, cause that made me worry the most. I am using a toro flow meter, so I dont get the estimated reports anymore anyway (seems to work quite good btw). To start, I have no knowledge about what the soil sensors output, but couldn’t you play around with the advanced settings to get a better approximation of the moisture depletion using the data from the moisture sensor to match up to? Sadly the soil sensor doesnt give any output, its just checking if wet or not. So it seems this was a useless investment. I just setup my Netatmo and all its modules here in my other home to test it, before I install it in the final location, and while I did it I was wondering how Netatmo calculates the 7 day forecast, so I started to look for infos. What I found was, that Netatmo seems to have nothing to do with the forecast, because the app is getting the data from some Meteodata (forgot the name) website. So in fact, it seems to me like this data is already freely available without even owning the Netatmo, which would in turn make buying one useless. I would also guess, that this Meteodata website is giving pretty much the same calculations and expectations like most services and always based on the closest freely available official weather station, which in my case is 50 miles away and pretty wrong. So I guess my real question would be, which data is Rachio using for the weather forecasts to create the perfect flex daily schedules? Does the Netatmo really play a role in this, if its just passing through infos from another website or are you somehow making your own calculations for forecasts or is it a mix of officially available forecasts with current actual data of the present day? That means essentially having my own weather station does nothing for the flex schedule? Its just for my own fun to see what really happened after the schedule already ran based on the data from Aeris? You get the most accurate precip data from the personal weather station. Worst case (for your lawn) is that the weather station a couple miles away got rain and you did not. The weather prediction tries to prevent your lawn from watering while it is raining outside. Of course this is only as accurate as the weather forecast. That means essentially having my own weather station does nothing for the flex schedule? A PWS or any other weather station can not forecast weather data, so a hybrid approach is taken by weather providers to derive this data. We do capture observations (weather, precip) from a PWS and use them in determining if a flex daily schedule should run. This helps auto correct any mis-forecasted data on a daily basis. So we do use PWS data for observations, but not for forecasts. Thanks for the answer, Franz. I bought it now anyway, so I will use it. But could you be a bit more precise? When you say you use them for observations, but the Aeris Weather forecast for the schedules, then what more is left for the PWS then showing you if its actually raining, which would probably stop or even skip the next schedule? We incorporate PWS data into deriving evapotranspiration values.